Wondering what you missed out on in The Vegan Box this month? Here’s a review of the October box by one of our favorite vegan ladies, Chelsey from Like A Vegan…. “You may have seen my previous post about The Vegan Box but if you’re new to Like a Vegan then you’re about to get excited! If you did see the previous post but needed some more convincing, this one may push you over the line. The guys at The Vegan Box sent me their October box to try and once again, I was impressed! Naturalie-Boon Chocolate Square Treats – Delicious little chocolatey treats in the perfect snack size. Heaven’s Pantry $15 Voucher – A website with a great selection of vegan food, supplements and lifestyle products. The Healthy Fix Taste Testers – raw, organic wholefood mixes to add to your smoothies, breakfasts and treats. Kaffe Organic Clay Soap – 100% natural soaps made in QLD. Peeled Snacks Cinnamon Crunch – Bite sized, crunchy apple clusters. Cobs Natural Popcorn – Crispy and delicious popcorn lightly flavoured with sea salt. Nutraorganics Gingerbiotic Bar – A tasty and filling bar filled with ginger, turmeric, cinnamon, coconut probiotics and cacao. 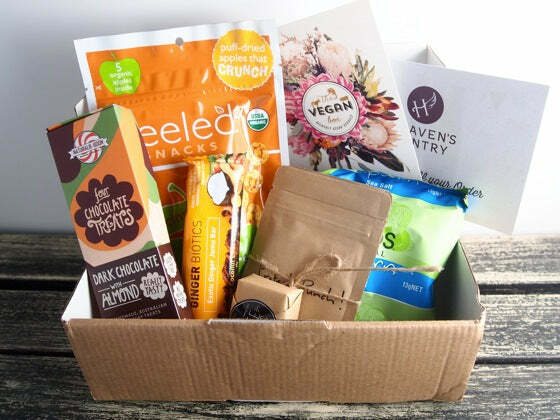 As always the box is 100% vegan and palm-oil free but what I’ve noticed about The Vegan Box is that you get a great mix of products from snacks, to sweet treats, to cosmetic items. It’s the perfect opportunity to try out the latest and greatest vegan products before you buy them, from only $26.95. If you subscribe for 3 or 6 months you get discount plus if you’ve got a Vegan Card you get a 5% discount to boot!